Less than eleven months until Fringe! In the meantime, here’s what’s the what, as far as I can tell, for August! Alexis Scott and Michelle LeBlanc in THE COMEDY OF ERRORS. THE COMEDY OF ERRORS from Bear and Company. 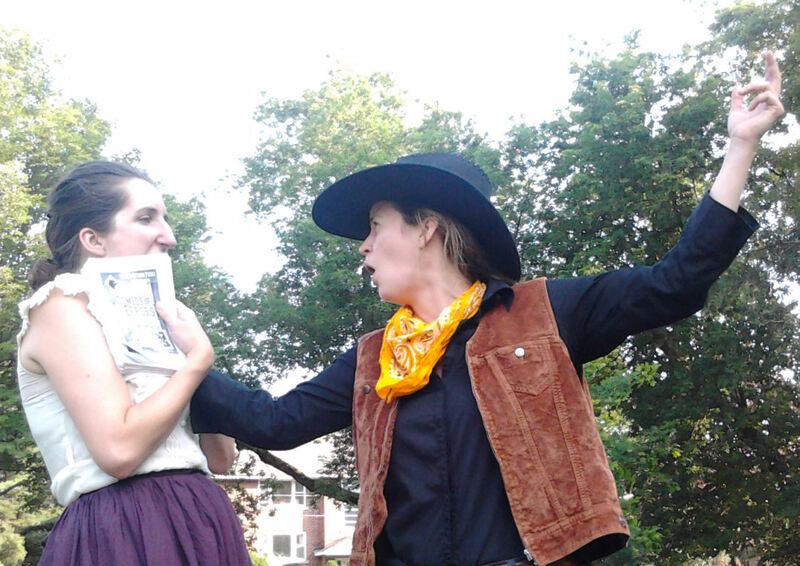 A hoot of a western spin on one of the bard’s earliest and funniest bits, plays until the 4th at parks around the city! THE MERRY WIVES OF WINDSOR from A Company of Fools. More Shakespeare in the park fun, from the Fools this time. You can’t go wrong when Catriona Leger teams up with sir John Falstaff! At parks around Ottawa until the 17th. HAMLET and MAID FOR A MUSKET at the St.Lawrence Shakespeare Festival, Prescott. 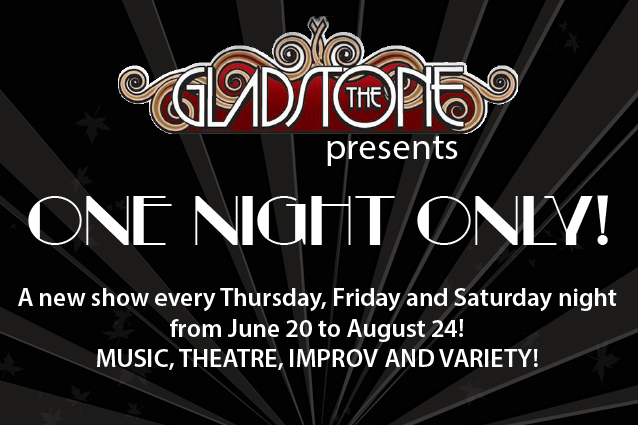 One of several awesome day trip options to serve your theatrical needs, check out some lush productions at the gorgeous outdoor amphiteatre in Prescott. Until the 17th. STAR-SPANGLED GIRL and THE MARRIAGE-GO-ROUND at the Full Circle Theatre in Perth, from the Classic Theatre Festival. You only have until the 4th to catch GIRL (with Richard Gelinas, no less! ), with MARRIAGE kicking off on the 10th. ARMS AND THE MAN at Strathcona Park, from Odyssey Theatre. Check out some sweet Shaw commedia-style, if that new Lone Ranger movie didn’t put you off masks completely. Until the 25th. CARMEN ON TAP at the Velvet Room. 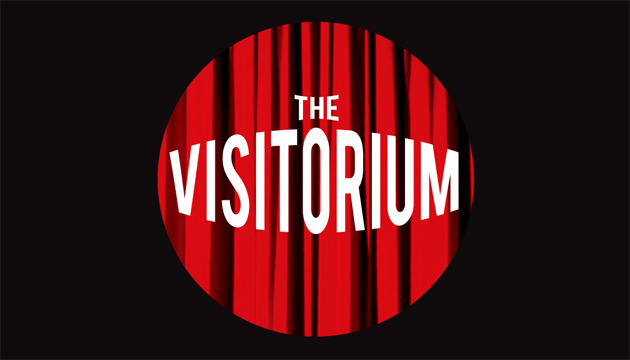 The 2nd, 4th, 6th and 8 right in the Market, starring Julie Nesrallah, and featuring Visitorium fav’rit Gabbie Lazarovitz to boot! An excellent dinner and a show night out. Check the website for details. THE DRAWER BOY at Ottawa Little Theatre. Loved THE FARM SHOW? Sure you did. Here’s the story of how it came to be, in a Canadian classic about the making of a Canadian classic, directed by Chantal Plante. Starts on the 6th. LA TOILETTE from Ottawa Stilt Union. Acrobatic merriment in the great outdoors, as two harried servants struggle to get a pampered princess ready for her public. On the 4th at 11 am at Remic Rapids, then in Wakefield on the 25th! Seriously fun. OCCUPY ME from Counterpoint Players. Bronwyn Steinberg’s one-woman salute to/skewering of Yoga and activism, playing for one night only on the 4th while in between conquering festivals. At McKay United, 39 Dufferin Road. SEUSSICAL THE MUSICAL at Centrepointe studio, from Ain’t Seen Nothin’ Yet Productions. Family fun of the Seuss variety, which is a good kind. From the 8th to 10th. THE CHRONICLER at Parks around Ottawa, from the Screaming Artists Collective. Yes, there’s a NEW park show in town! Telling tales of Cyrano and the 3 Musketeers, with what’ss suree to be some seriously fun fighting. From the 13th to 24th. Check out Smooth Tim Oberholzer’s Blog for times and locations! 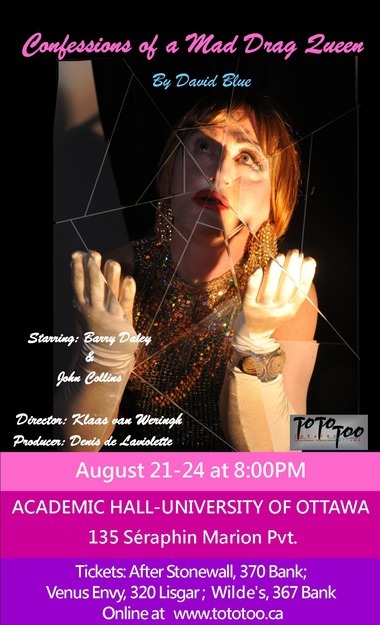 CONFESSIONS OF A MAD DRAG QUEEN at Academic Hall, from TotoToo Theatre. Finally, a switch from all those reserved, level-headed drag queens we’re inundated with! From the 21st to 24th. CLUE-LESS from Eddie May Murder Mysteries. Ottawa’s classic murder mystery dinner theatre is back with a new whodunnit, directed by Zach Counsil and starring the usual gang of talented misfits, for your dining pleasure. Runs every weekend at the Velvet Room. DEAD ON DECK at the Cumberland Heritage Village Museum, from Vintage Stock Players. Because one murder mystery is NEVER enough! And this one has the hardest working man in show business Nick Alain in it! I’M READY WARDEN: WORDS OF THE CONDEMNED from Standy-Man Productions. Verbatim theatre culled from the real words of death row inmates. Heavy stuff, and I can’t wait. Also on the 3rd. Caitlin Corbett in MORNING STAR. Photo by Johan Kwan. THE PICKUP ARTIST. The tale of a would-be ladies man, starring Steve Martin. Also on the 8th. THE BI-SCI-FI SHOW from Crystal Basement. Star Trek vs.Star Wars, improv style, on the 9th! DABDA from Alvinhayle. Dance show! 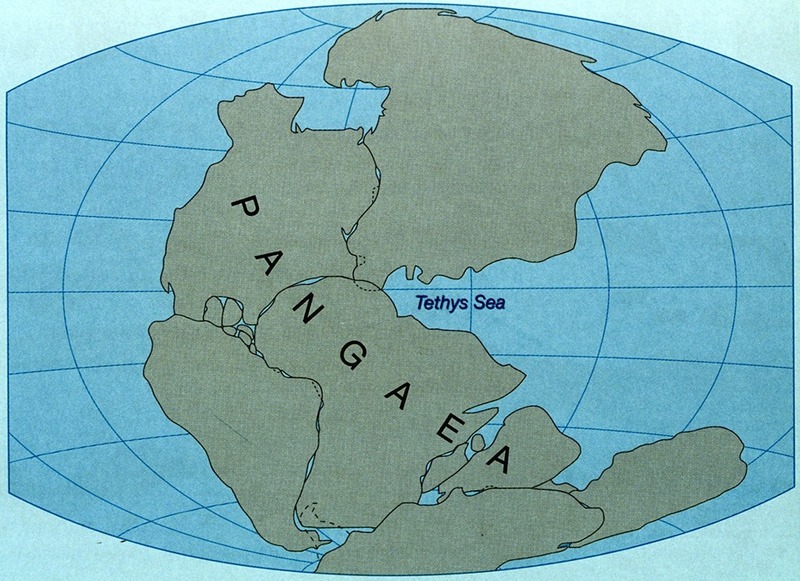 All I need to know. On the 10th. And no separate listing this month as there isn’t much ging on French Theatre-wise just now, but L’AMOUR A L’AGENDA continues at Theatre de L’Ile until the 24th! WOLVES>BOYS and HAPPINESStm from May Can Theatre. The double-bill you asked Santa for is finally here! Two Fringe classics from those lovable lads Cory and Tony! Both on Friday the 16th. TOUGH by Kirsten Rasmussen. 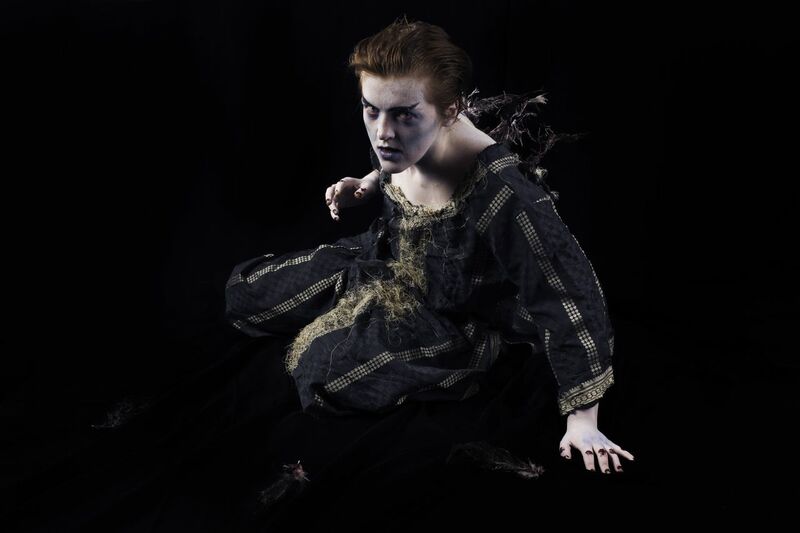 One-woman wonderfulness from the amazing Miz Rasmussen, possibly with boxing. I am crazy looking forward to this show! On the 17th. THIS CANADIAN LIFE from Bad Dog Theatre Company. 3-part improvised reflections on the Canuck condition from Toronto hotshots Bad Dog. Based on a podcast, which are apparently things people listen to. On the 24th. EASY ACTION from Montreal Improv. An improvised action movie from Brent Skagford and Marc Rowland. Sure to be better than MAN OF STEEL. On the 30th. UNCALLED FOR: SKETCH HITS from Uncalled For. Exactly what the title says, folks. On the 31st. 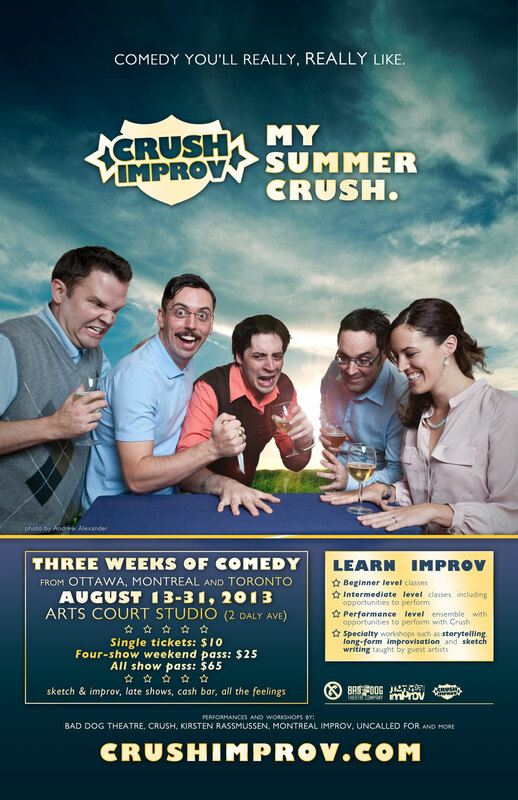 Plus there’s regular CRUSH IMPROV shows every Thursday, late shows, and a ton of workshops that are not to be missed. Check out Crush’s website for the details and swell prices, and I’ll see you there! And don’t miss their regularly scheduled ‘BOUT TIME at the Heart and Crown Monday the 5th!